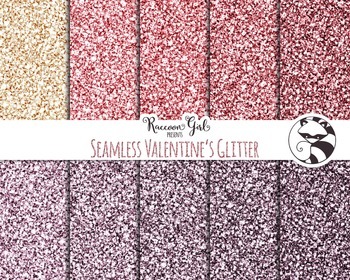 Create sweet and charming products or crafts with these Valentine's day themed digital glitter papers. There are eight papers total. Five are various shades of a beautiful passionate plum color, four are shades of bright pink and one is the color of sugar cookies! These textured patterns are completely seamless, so with the proper knowledge and software they can be repeated or tiled over and over again.